28th August till the 12th September 2014. 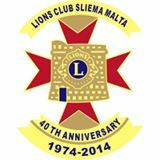 Lions Club Sliema was chartered in 1974 and was sponsored by Lions Club Malta (Host). The Club is one of the five Maltese Clubs that form the Lions Clubs Zone Malta within the International Association of Lions Clubs. This International organization is considered to be the World's largest Philanthropic Organisation with 44,000 Clubs distributed in over 200 countries and geographic areas with a total of 1.4 million members. When it comes to meeting challenges, our response is simple: WE SERVE, We want everyone to see a better tomorrow, We believe everyone deserves a healthy life, We empower the next generation and we serve local communities. Club membership continued to increase up to a maximum of 96 members. To-day the Club has 42 members as two other Lions Clubs were sponsored namely Lions Club St. Paul's Bay and Lions Club La Vallette. Meetings, which are well attended, are held on the 1st and 3rd Wednesday of each month at The Victoria Hotel in Sliema. During the 3rd Wednesday meeting guest speakers are invited to address Club members on various subjects of interest. The Club's initial project, a Drug Awareness Campaign together with Caritas Malta was quite ambitious. A great success was registered and this brought to the forefront the Club as one of the leading fund raising associations in Malta. For a good number of years the Club made donations in funds and in kind to various institutions and good causes. However, with the increase of other Philanthropic Associations, the Club lost some ground as most of these organizations promote their own fund raising activities on a professional basis. Therefore, some time back, the Board of Directors of the Club decided that small donations shall be controlled and only major projects are to be considered. Lions Club Sliema is proud to have undertaken the restoration of the Frescoes at Sant'Agatha Catacombs in Rabat which was a National Project of utmost importance and at an extraordinary cost. These Frescoes date back to the 12th Century and due to their great historical value, leading world experts in the field visit the frescoes. In association with the Sliema Local Council the Club set on a project to restore the Statues and Niches in the Streets of Sliema. After the completion of 10 niches the project was shelved due to financial limitations of both partners. Last year another effort was made and two other niches were restored, namely St. Dominic and Our Lady in St. Lawrence Street. The Club has again been approached by the Local Council to help in the restoration of more niches. Presently members of the Club together with a Local Council Member are studying the feasibility and costs of restoring more niches. However, residents are assured that this project will be executed to enhance the beauty of Sliema. It is not possible to mention all the projects undertaken by the Club since its inception but the Club contributes regularly towards initiatives originating from Lions Clubs International to help victims of international disasters. Old People's Homes, Children's Homes, The Community Chest Fund, Ir-Razzett tal-Hbiberija all benefit from funds collected during our Fund Raising Activities. The Club organizes youths and schools to participate in the worldwide Peace Poster Competition that is held annually by Lions Clubs International. Lions are known as "knights of the blind in the crusade against darkness". In our work to improve sight, we recycle used glasses, we support Eye Banks to provide eye tissue for sight-saving surgeries, we supply equipment to screen the vision of thousands of people every year and we raise donations through our Sightfirst and Campaigh Sightfirst II. To attain these goals the Club has contributed towards the establishment of an Eye Bank at Mater Dei Hospital and Eye Screening Equipment at 6 Health Centres in Malta and Gozo for the early detection of Glaucoma. Lions Club Sliema is proud to have originated the Organ Donation Campaign in Malta. Although this project was difficult to achieve, its success is today felt by many and in its first year 15,000 people registered as donors. Organs are generally transplanted on Maltese patients but some of the organs are donated to other countries. This campaign is ongoing and registration is to be made on forms obtainable from the Club and from The Transplant Support Group. The Club operates also the Lions Club Sliema Arts Fund whose main aim is to support financially deserving youths to pursue their studies overseas in the Arts, Music, Drama and any other related subject, which the Board of Governors considers to fall within the scope of the Fund. Due to certain limitations that exist in Malta, some of these studies have to be pursued overseas and for this purpose, the Club decided to search for support from other European Clubs. This brought in the idea of holding a Lions Gathering in Malta, with the hope that other Clubs may be able to offer help in this regard. To be the global leader in community and humanitarian service and to empower volunteers to serve their communities, meet humanitarian needs, encourage peace and promote international understanding through Lions Clubs. The Club has its own website: www.lionsliema.com. and may be contacted at P.O. Box 62, Sliema SLM1000. This year's President is Dr. Alphonse Macdonald a national of Surinam but lives in Gozo.